From the moment you step inside your all-new guest room you'll feel at home. 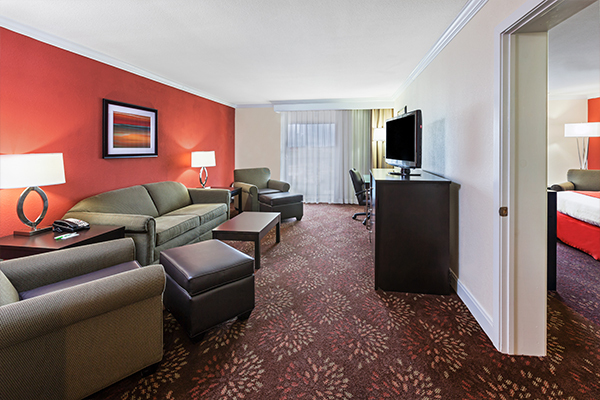 Holiday Inn Tyler—Conference Center offers 182 spacious and comfortable guest rooms featuring a wide variety of amenities, such as free Wi-Fi, 40 inch flat screen televisions with HD channels, and our crisp, clean, triple sheeted beds. 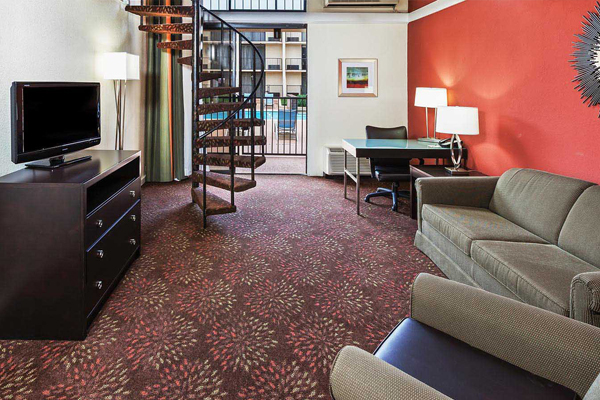 Blending a modern design aesthetic with comfort and convenience, the Holiday Inn Tyler—South Broadway is the perfect place to unwind and recharge. When you stay at our IHG Green Engage hotel you become part of our world-wide effort to protect the environment. The IHG Green Engage system comprises more than 200 specific actions—called Green Solutions—designed to reduce the hotel's environmental impact. We thank you for joining us in these efforts. With 182 guest rooms, we are able to accommodate most traveler's needs, whether you're visiting Tyler for business or pleasure. Guests can choose from Deluxe Guestrooms with one king bed or two double beds, Poolview Guestrooms with one king bed or two double beds, Concierge Level guestrooms with one king bed, Concierge Level Executive Suites, Two-level Cabana Suites or ADA approved accessible rooms.